Today I have the amazing privilege of being part of the This is W.A.R. 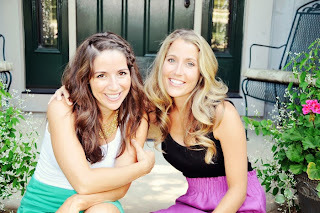 blog tour for the Roecker sister's (Lisa and Laura) third published novel (although the third book in their Liar Society series comes out this December). I've met both Lisa and Laura and they are both super awesome (and funny and kind of dorky, but what more do you really want?) so I'm thrilled that I get to be a part of this tour!!! First "what the heck is This is W.A.R. about, cause I'm not sure I want to read a book about war, that's super depressing!" The mystery of their best friend's murder drives four girls to destroy the Gregory family. Woo, chills right!? Also, not actually about war, with the guns and the blood and what not, so if you're squeamish IT'S OKAY, you can still read this book! YAY!!! Lisa and Laura Roecker are sisters-turned-writing partners with a passion for good books, pop culture, and Bravo programming. Not necessarily in that order. A prepubescent obsession with Lois Duncan and their mother's insistence that they read Men Are Just Desserts inspired This is WAR. The sisters live in Cleveland, Ohio, in separate residences. Their husbands wouldn't agree to a duplex. Cyberstalking is always encouraged at lisa-laura.blogspot.com and @landlroecker on Twitter. Look at them, aren't they pretty!? And sisters too, HOW COOL IS THAT!? I know I couldn't write a book with my sibling, we'd kill each other before it even got finished! Although I've met both Lisa and Laura when they came to town I hadn't cracked either of their books, which is really a HUGE point of embarrassment for me because it was blurbed by Kimberly Derting AND the dead girl has my name. (Maybe that's not so great a thing? I don't know, I thought it was kinda cool.) I decided that I would finally read their new book and get the word out BEFORE it came out, so here I am. Having read a few collaborations before I was curious to see how Lisa and Laura would handle the situation, and I found that I was really pleased. I'm not sure HOW they did it exactly, although whatever they did it worked really well. The book followed five girls in total, although one was the dead girl and appeared just at the beginning and the end, the other four took turns narrating five different sections of the book with acronym titles (like W.A.R. which stands for Willa Ames-Rowan, the name of the dead girl). Personally I love a good mystery, and although things seem straightforward to begin with they slowly start to turn murky as bits and pieces of the night Willa died come to light. Lisa and Laura wrote a book that has a cast of multi-ethnic characters and twisted secrets that weave together into helping create a cover-up of epic proportions. There were so many parts in this book that were lyrical and spoke to me, several parts that gave me little chills, and parts that had me going "WOAH, so THAT just happened". Although I've never read Pretty Little Liars I watched some of the TV show with my cousins and this book reminded me of a cross between that and any and all CSI episodes that deal with rich people as suspects. In the end I loved it and thanks to this book I will hopefully be reading their first two novels over the summer. 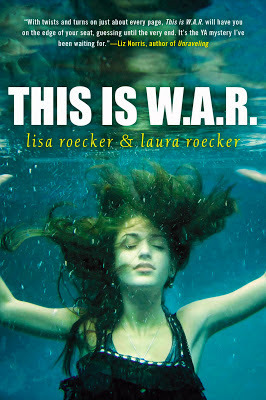 Soho Teen has graciously provided a finished copy of This is W.A.R. for me to give away (they will send it to you so that means US addresses only, sorry) and they ALSO have a giveaway for any of you who pre-ordered the book. If you send them proof of your pre-order here OR if you live near one of these indie bookstores/libraries you will get a key, kind of like the one all of the girls in the book wear (although numbers are limited so act fast!). Now on with the giveaway. This is another book I've been meaning to read. The whole murder mystery intrigued me. It does remind me of "Pretty Little Liars" so I really hope it's good! Thanks for the giveaway! One of my favorite tv show is Revenge from ABC. This reminds me of it so I'm definitely reading it. The storyline is so intriguing! 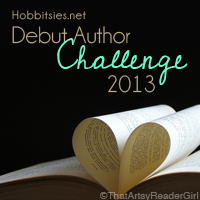 This one is already on my TBR list! Can't wait, and Go Cleveland! I love my hometown.